In 2008, staying at Merlin Beach Resort at Tri-Trang Beach on the outskirts of Patong, we met Sandy and Mick from Newcastle. We all hit it off famously and were coincidentally on the same cruise last October from Honolulu to Sydney. 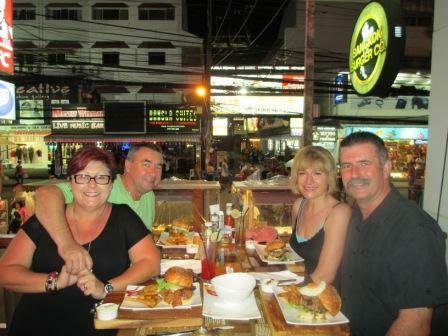 A year later and we all happened to be in Phuket at the same time – obviously our paths are meant to cross! They stayed at Merlin again, while we were at Thara Patong this time. Needless to say, we caught up again to create some more memories. Meeting at the Patong Merlin for a pre-dinner drink, we then headed down to Bangla Road. 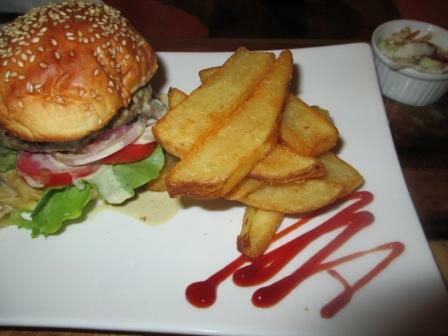 Having read some very positive reviews of Bangkok Burger Company, that’s where we decided to have dinner. Some would say it’s an overpriced hamburger, but it was absolutely delicious. The curly fries we also ordered probably weren’t necessary, as it was very filling. There was the Tiger Bar where we stopped for another drink, and people-watching was a fascinating pastime too. The atmosphere was vibrant. 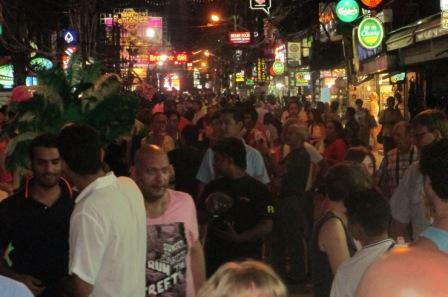 A cacophony of sounds and a plethora of sights greet you in Bangla Road. Thanon Bangla is always a hive of activity, with people touting for your business, particularly if you are broad-minded. We went into one of the infamous shows that, having once seen it, you never have to do it again. Oh well, it was Thailand. For us, it was another great night of friendship and frivolity. 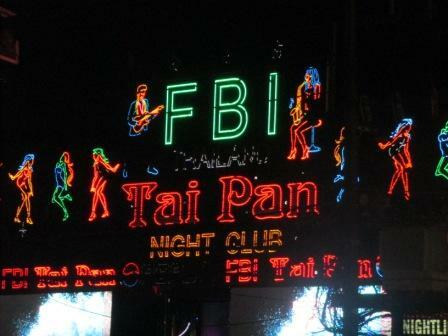 This entry was posted in Activities, Thailand and tagged Bangla Road, sights and sounds of Bangla Road, Thailand. Bookmark the permalink.